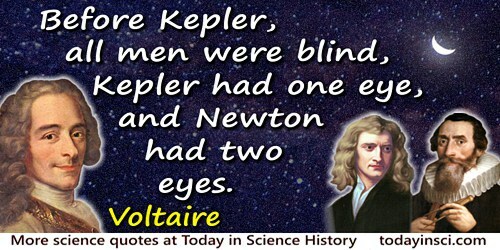 German astronomer who formulated three major laws of planetary motion which enabled Isaac Newton to devise the law of gravitation. Working from the carefully measured positions of the planets recorded by Tycho Brahe, Kepler mathematically deduced his three laws from the data. Concerning the More Certain Fundamentals of Astrology (1601, 2003), 7. Latin text quoted in Ian Maclean, Logic, Signs and Nature in the Renaissance: The Case of Learned Medicine (2007), 188. Opening remark from 'Narratio de observatis a se quatuor Jovis satellitibus erronibus, quos Galilaeus Galilaeus Mathematicus Florentinus jure inventionis medicaea sidera nuncupavit' (Account of personal observations of the four moving satellites of Jupiter, which Florentine Mathematician Galileo Galilei had the right of discovery to Name as the Medicicaean Stars) (observed 30 Aug 1610, written 11 Sep 1610, printed about Oct 1610) in which he confirmed having seen the things announced by Galileo in Mar 1610. Collected in Cav. Giambatista Venturi, Memorie e Lettere Inedite Finora o Disperse di Galileo Galilei (Memoirs and Letters, Previously Unpublished or Missing, of Galileo Galilei) (1811), Vol 1, 144. Theologus esse volebam: diu angebar: Deus ecce mea opera etiam in astronomia celebratur. I wanted to become a theologian. For a long time I was restless. Now, however, behold how through my effort God is being celebrated in astronomy. I am a Lutheran astrologer, I throw away the nonsense and keep the hard kernel. Letter to Michael Maestlin (15 Mar 1598). 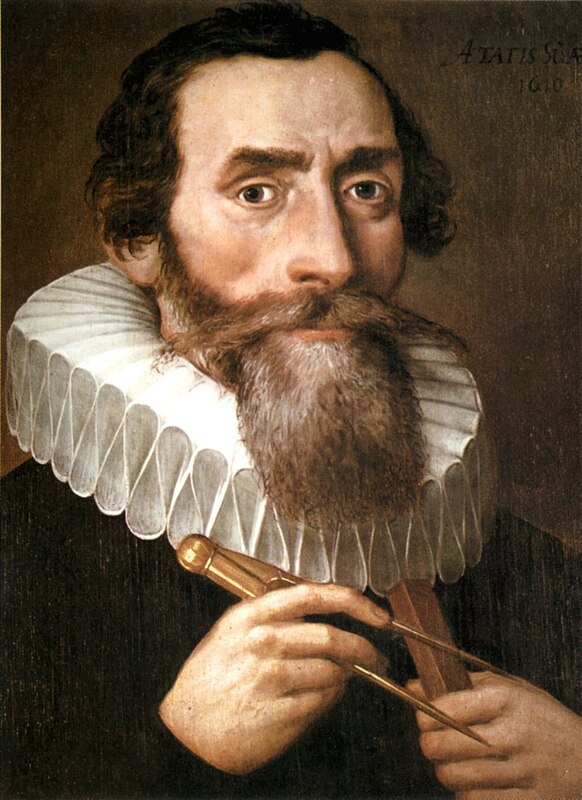 Johannes Kepler Gesammelte Werke (1937- ), Vol. 13, letter 68, l. 177, p.184. I am merely thinking God’s thoughts after him. Harmonice mundi (1619). In Bill Swainson and Anne H. Soukhanov, Encarta Book Of Quotations (2000), 514. O telescope, instrument of knowledge, more precious than any sceptre. Letter to Galileo (1610). Quoted in Timothy Ferris, Coming of Age in the Milky Way (2003), 95. 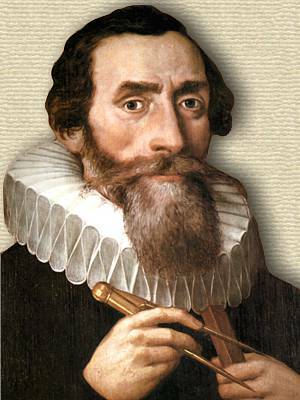 27 Dec - short biography, births, deaths and events on date of Kepler's birth.